Every woman wants to shine - just not from her oily skin. Using a facial mask can help reduce the shiny appearance and give you a healthy, natural glow. Oily skin is largely an inherited problem, if you have oily skin it's likely that one of your parents did too. Oily skin tends to be thicker and has larger pores, and these pores can be inclined to clog up causing unsightly blackheads. The sheen caused by the excess oil can be embarrassing. Oily skin is caused when the skin’s sebaceous glands produce too much sebum. Sebum is necessary to moisturize the skin, keeping it soft and pliant, but too much of it is unsightly, giving the face a shiny appearance. Regular use of a specially formulated facial mask can help to alleviate the problems of oily skin. To help choose which product can best serve your needs, here are some of the best products available. Androgens are responsible for oil production, and during puberty these hormones can cause your body to create more sebum, but this excess oil production usually normalizes as adulthood approaches. The ingestion of steroids or oral contraceptives has also been known to cause oiliness in the skin and it can also be caused by stress. (Source). Wash oily skin twice a day with warm water and a mild cleanser. Avoid harsh soaps. These will leave the face feeling dry, and could result in an increase in oil production as skin attempts to compensate for dryness. For the same reason, oily skin should not be washed too often or with hot water. People with oily skin can use acne cleansers if normal cleansers fail to reduce the presence of oil. However, Joel Schlessinger, MD president-elect of the American Society of Cosmetic Dermatology and Aesthetic Surgery and director of LovelySkin.com in Omaha, Nebraska, advises that cleansers made specifically for oily skin may be too harsh and suggests that the gentlest cleansers with the lowest PH are normally best. Using astringent skin care products, which tighten the top layer of skin, preventing the oil from reaching the surface can result in blocked pores, and so they should be avoided. Oil-based products should be used to cleanse the face but moisturizers should be oil free. Medicated pads are useful for the removal of excess oil during the day. Clay or mud facial masks are ideal for oily skin. Products used as part of the skin routine should be adjusted to environmental conditions to prevent the skin from becoming too dry. For instance, some people may require harsher soaps in summer than in winter. Products available over the counter should reduce excess oil. It’s better to use a topical solution that contains alcohol ﻿﻿rather﻿﻿ than a lotion according to Dr Charles E. Crutchfield III, MD, clinical associate professor of dermatology at University of Minnesota Medical School. A dermatologist should be consulted if over the counter products are not working. Leyda Elizabeth Bowes, MD, head of Bowes Dermatology in Miami, believes that home remedies should be avoided as some of the ingredients can cause damage to the skin. 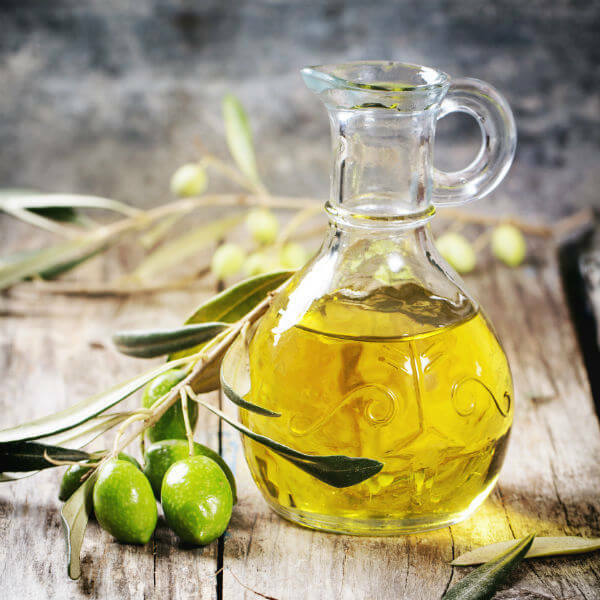 While specific foods can’t be blamed for excess oil or clogged pores, a healthy diet can help to ensure a healthy skin and reduce the symptoms of breakouts. 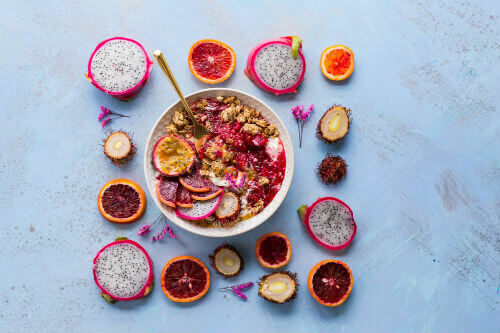 A study published in the American Journal of Clinical Nutrition found that lowering the glycemic index the diet significantly reduced the symptoms of acne. The bottom line is that sugar, refined carbohydrates and fatty foods should (as much as possible) be replaced by fresh fruit and vegetables, lean meat and fish, and six to eight glasses of water per day. A healthy diet promotes healthy skin. 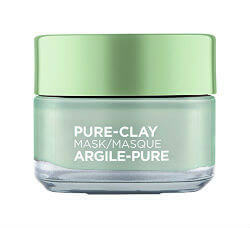 This purifying facial mask has been formulated to reduce the presence of excess oil on the skin. It’s a deep cleansing mask that clears out clogged cells, preventing blemishes from taking root and resulting in a clearer complexion. 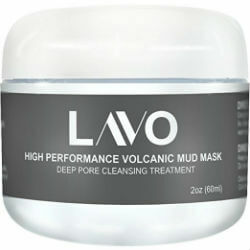 Made from Dead Sea mud, minerals and natural extracts, it deep cleans, absorbing excess oils while hydrating the skin. 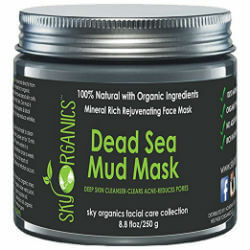 Dead Sea Mud is easily absorbed into the skin. This product contains horsetail extract which has anti-inflammatory and antibacterial properties to soothe the skin, and Jojoba oil helps to moisturize the skin, reducing the pore size and the presence of fine lines. The result is smoother, brighter, hydrated skin. The mask should be applied once or twice a week. 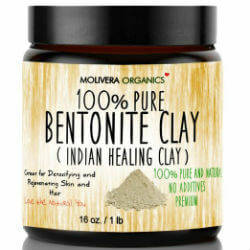 This product is one hundred percent pure sodium Bentonite clay, and is recommended for sensitive skins because it is a natural product free of chemicals. It is hypoallergenic. The product shrinks pores, diminishing wrinkles. It improves circulation and replaces minerals in the skin. It clears excess oil on the skin, while soothing inflammation, minimizing the appearance of blemishes, and gently removing dead skin cells leaving the skin smooth and blemish free. The product can be used as a facemask or a hair mask for softer hair, which is easier to manage. It is a powder, which should be mixed with water or apple cider vinegar, and used twice a week for fifteen to twenty minutes. Made from one hundred percent all organic ingredients this product works by drawing out excess oil, blackheads and clogged pores as the mud dries. Mud from the Dead Sea is full of minerals, like magnesium, calcium and potassium, which improve circulation. This product will reduce the size of pores and the appearance of wrinkles, improving the elasticity of the skin. Jojoba and sunflower oil, present in the mask, ensure that the skin is hydrated, so that it emerges soft and radiant from the mask. This product contains only natural products and can be safely used on any skin type. It removes dry, dull skin, leaving the skin soft and moisturised but without the excess oil. This product can be used as a facial cleanser or as a dry-peel system. It should not be used more than once a week for fifteen minutes. This professional quality mask, though soft and creamy in texture, is tough on bacteria and clogged pores. It smells of mint and is made from highly absorbent volcanic ash. The mask also includes other natural products such as Aloe Vera and brown seaweed, all of which combine to exfoliate dead skin cells, reducing the appearance of pores and removing excess oils while ensuring the skin stays moist and hydrated. Although the jar is small, the mask goes a long way, and should last twenty to thirty applications. The manufacturers are so sure of their product that they offer a full money back guarantee. The product is 100% paraben free, and has not been tested on animals. At a reasonable cost, this product consists of three pure clays and eucalyptus. Used weekly for ten minutes this mask will remove excess oil without drying out the skin, leaving the skin smooth and youthful. The white seaweed clay contains minerals and vitamins and soothes the skin, while the charcoal clay removes the impurities. The red algae clay exfoliates the skin removing all the dead cells, and the eucalyptus soothes the skin reducing the appearance of large cells. The product should be used three times a week for ten to fifteen minutes. There are many products available for the control of oily skin from scrubs to cleansers and moisturisers. One of the most effective ways to control oily skin is to use a facial mask once or twice a week, as part of a full skin care routine. A facial mask gives the skin a deep clean and helps to refine the pores. When looking for a mask for oily skin, the goal should be to find one that removes the excess oil and dead skin cells, which have built up, blocking the pores and making the skin appear dull and uneven. This must be achieved without stripping the skin of its moisture. These products hydrate the skin while reducing the appearance of large pores and blackheads. My choice for best product in this range is L’Oreal Paris Skin Care, it offers as much as the others and at a great cost.